Exotic Mixed Fruit Juice is a type of juice that contains a mix of all the fruits like grapes, apple, orange, etc. 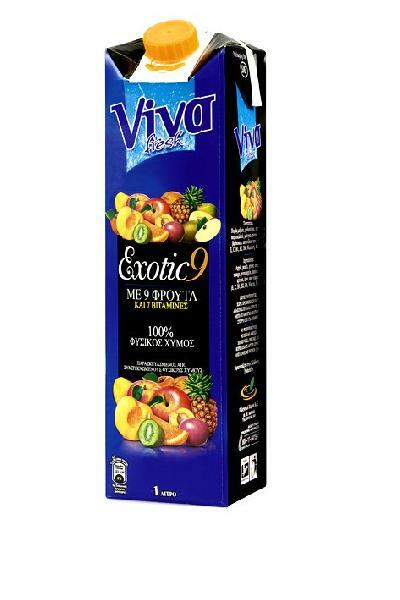 Exotic Mixed Fruit Juice that we offer contains water, concentrated juice of orange, peach, apple, pineapple, apricot, grapefruit, banana and kiwi. Our Exotic Mixed Fruit Juiceis rich in vitamins C, B1, B2, B6, E, Niacin and Folic Acid. We provide Mixed Fruit Juice in tetra packing.